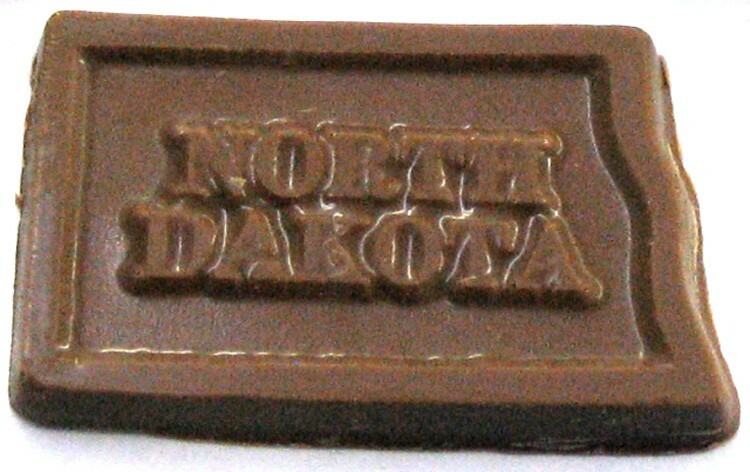 Custom molded solid chocolate candy state of North Dakota united states of america the peace garden state, foil wrapped with imprinted label applied to foil. Product also available in cello bag tied with ribbon for an additional $0.86 (R). Makes a great food gift or North Dakota promotional giveaway.